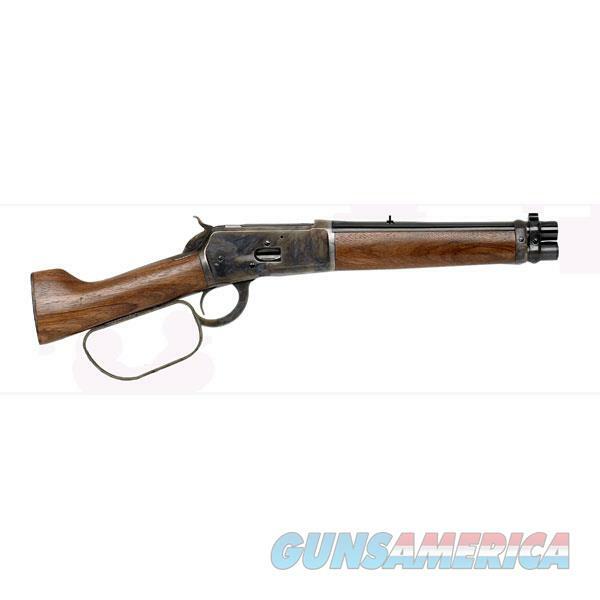 Description: 1892 “MARE’S LEG” •Lever action •Round blue finish barrel •6 grooves •Walnut stock & forend •Fixed rear sight •Color case hardened receiver •Oversized finger lever •OAL: 21'' •Wt. : 5.5 lbs. Cal. : .45 LC Cap. : 4 Brl. : 9"